Kalliopi Lemos’ installation I am I, Between Worlds and Between Shadows at the Ioakimion School for Girls in Fener, Istanbul is on view through November 10, 2013. The installation is realized in the scope of the 13th Istanbul Biennial Parallel Events Programme. The artist Kalliopi Lemos and the curator Beral Madra discuss the project with Installation from its inception to final touches. 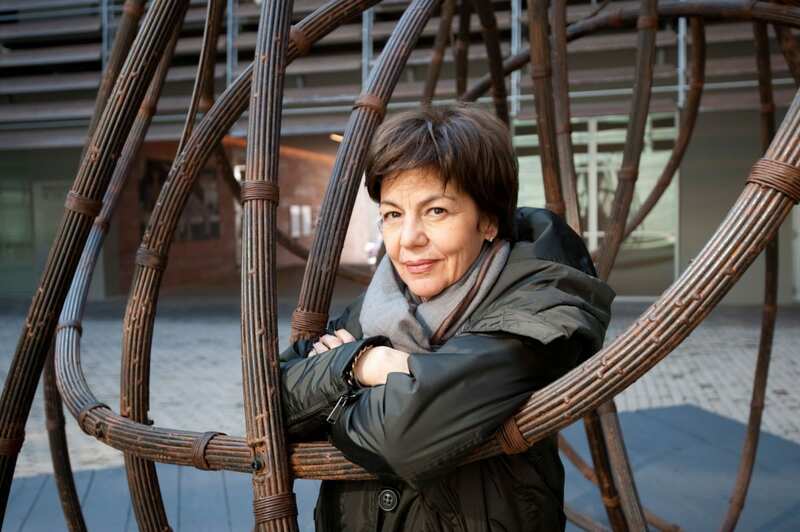 In her solo exhibition I Am I, Between Worlds and Between Shadows, Kalliopi Lemos remains concerned by human rights, but this time with an emphasis on abuses and injustices faced by women and girls, some of which have been featured in global news recently. 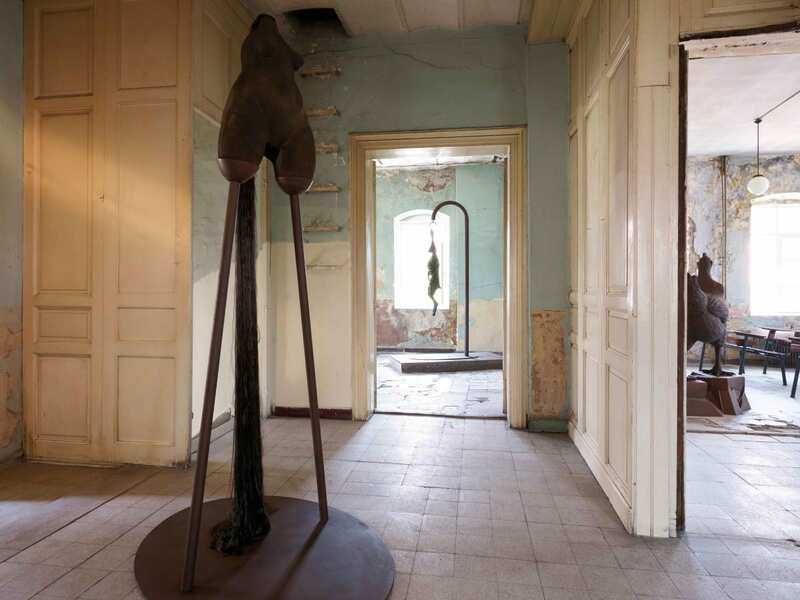 A series of seven emotive half-woman, half-animal sculptures, referencing the classical mythology of Lemos’ heritage, are positioned in the rooms of the Ioakimion School for Girls, an abandoned building in the historic Fener district of Istanbul. 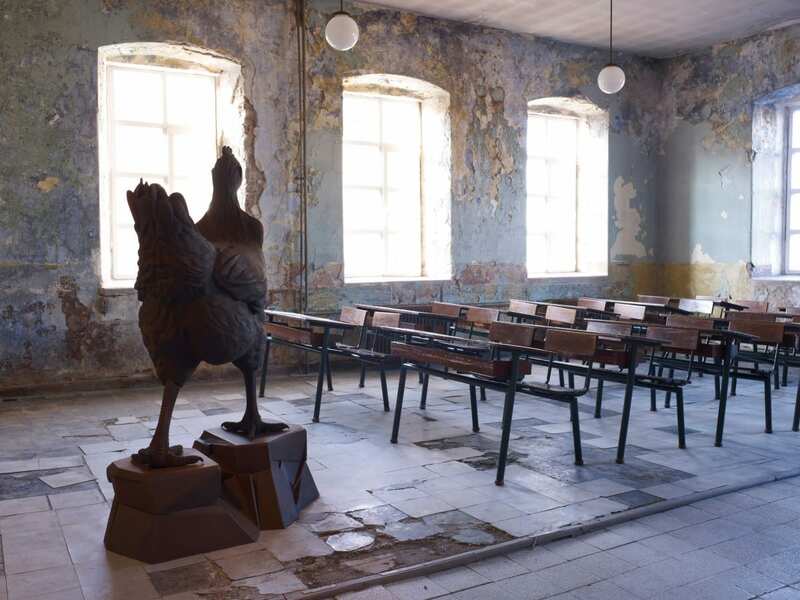 The school is brought to life with a sound installation featuring narrators reading Little Red Riding Hood and The Bridge at Arta, a fable about a woman who was sacrificed for a bridge, and the desks bear the scratches and markings of the girls who once attended the school. In Istanbul we have great difficulties in finding spaces for contemporary art exhibitions. There are very few available spaces, which should be reserved at least one year in advance. Concerning the Lemos exhibition, we had to find a space that was either a blank canvas or one with historical significance. Being a Greek citizen Lemos has the priority to apply to Greek Foundations in Istanbul, and we were lucky to gain permission to use this school, which was abandoned in 1988. The heavy memories embedded in this school with its different levels of history, from the Ottoman Empire to the Republic of Turkey, made it the most suitable scene for the concept of the exhibition. Kalliopi Lemos is a very strong-minded and meticulous artist, she knows how to utilize a space for her work or vice versa. The sculptures were conceived and produced long before we decided to use this building. Yet, the building is also very complicated; full of furniture, artifacts and ideological material. Lemos was very clever in making minimal changes to the building. She decided to incorporate the sound installation, which gives the space its soul back. We decided to present the history of the public school through an audio-visual production. Indeed, this exhibition is one of the few that took place in public space during the Istanbul Biennale, although this was initially the concept and logistics of the entire event. This “public space” concept was fiercely protested by groups of people who were suffering from the gentrification politics of the municipality in collaboration with private sector, which sponsors the Biennale. After the Taksim Gezi protest the Biennale withdrew its claim on public space, without changing the title and concept. I am always under the spell of the artist’s quest of reaching sublimation; I respect this aesthetic and conceptual adventure and enjoy the result. We are an efficient and studious team, Artemis Manolopoulou, Nilüfer Suluner, Murat Ozelmas, Lee Sharrock and Lemos’ assistants who share in the execution of the artist’s vision. Curating today is only possible through collaboration. I started creating these sculptures in the beginning of 2010. It was a process, as it always happens in my work, of getting hold of my unconscious and bringing forward forms that already existed within me. This time I was dealing with feelings of oppression, abuse and the effort to uphold the human dignity, even after experiencing hardship. As a woman, I am expressing emotions that unfortunately too many women have had to experienced throughout ages. 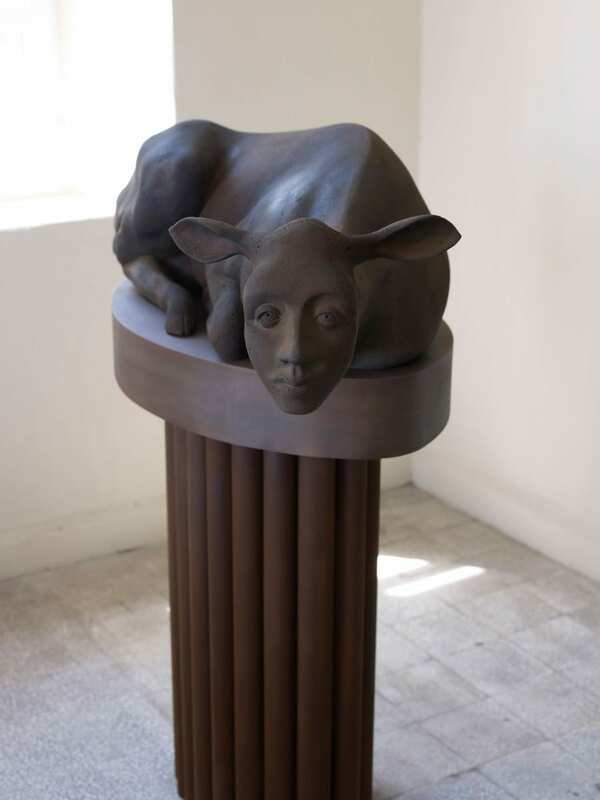 I first met Beral Madra in 2006 when she visited my installation in Eleusis, Athens. The subject had to do with illegal migration and the enormous difficulty that these migrants face in their effort to survive and find a new way of life. I immediately sensed in Beral the spirit and enthusiasm that was ‘firing’ my wish to create more work with someone who shared a common understanding of the problems of the world. I felt that we could work together because she is someone with a lot of energy and courage and was ready to support an ideal and a cause. I visited the school a few months ago. By that time, I had finished the sculptures and I was looking for a meaningful space that would help enhance the subject of the installation. The space had such an aura in it, it seemed sacred to me, as if I was entering a tomb. I connected with the space so much that I was reluctant to use it as part of my installation because I didn’t want to disturb the peace and innocence in it. I found the best solution, I decided not to disturb anything and to leave the school exactly as it was the last day that it was shut down. 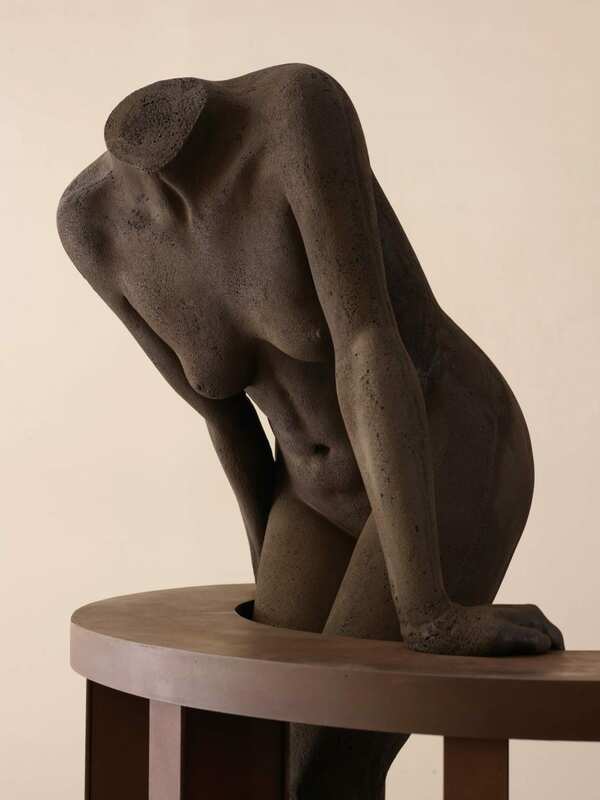 I only positioned my sculptures within its environment, creating a surreal effect. I also added sounds that strengthened and enlivened the school atmosphere. I introduced the sound installation to increase the presence of the past activity in the school. 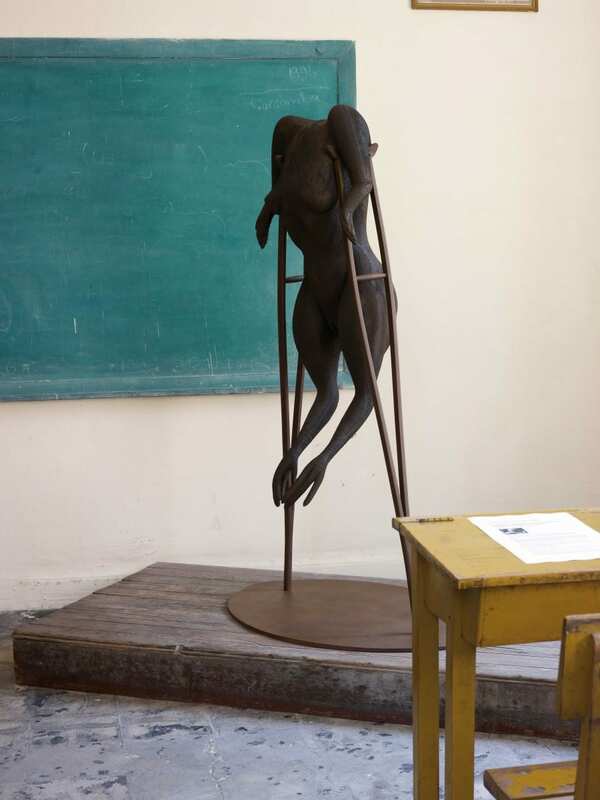 It also created a sharp and poignant clash between the austere sculptures and the carefree innocent voices of young girls singing and narrating fairy tales and poems. In a sense the sculptures describe what life brings later on in life, whereas the sound installation talks about the beginning of life. The space is suitable, because it is the hub where young lives receive an education, where their dreams and ideas about the future are formed. The reality is that actually the future is a lot harder than what children can imagine. 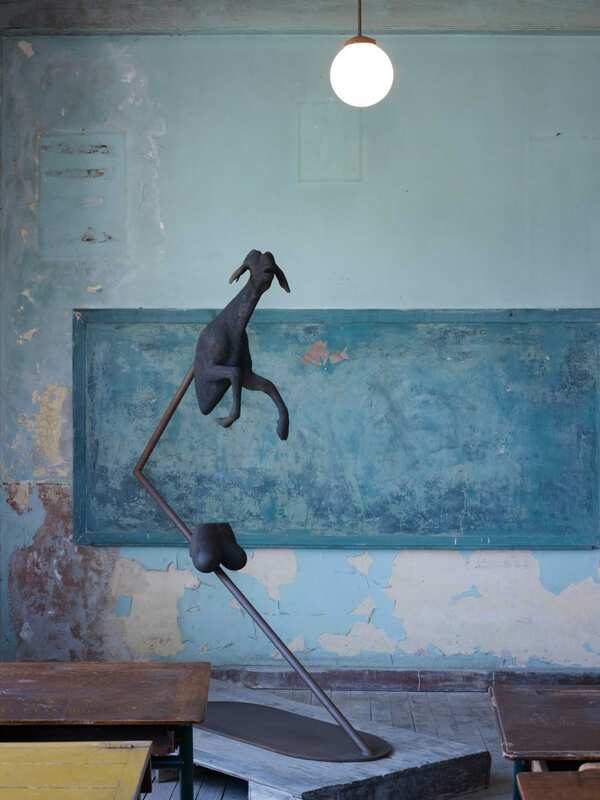  Archived in Uncategorized and tagged Beral Madra, Biennial, Greek, Install, Installation, Issue 30, Istanbul, Istanbul Biennial, Kalliopi Lemos, Lee Sharrock, mythology, Oiakimion School, Sculpture, Sound. Bookmark the permalink.